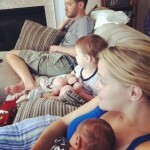 So to keep this blog going while I tend to an infant, I need some quick content. 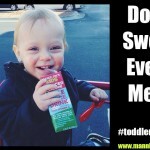 I could take photos and videos but really that gets pretty old…and he is a freaking cute kid! These are going to be little tricks that have helped me with Ollie and/or Landon. Those little nuggets I learned from a random person, a book I read or even just trial and error. 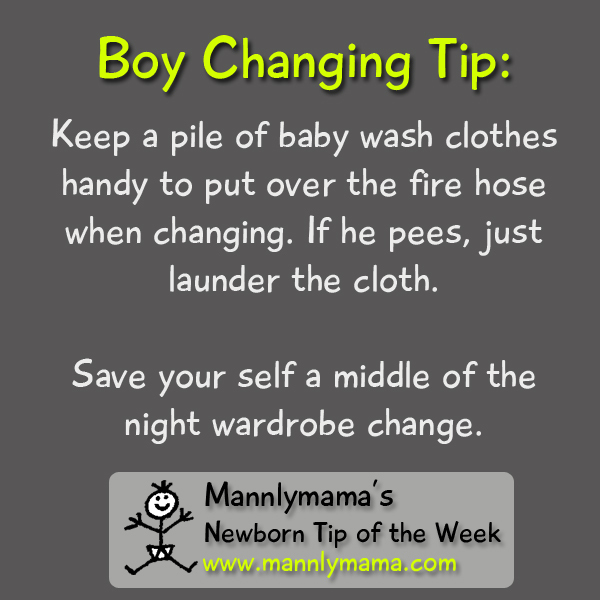 This week, we have a diaper changing tip for little boys. We have all been peed on…but NO MORE! 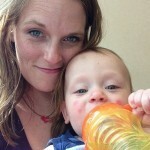 This week’s tip is from my friend Jen…rockstar mom to 2 awesome boys. I now make it a point to buy a pack of wash clothes for all new moms of boys. I will be following. We are due with our second, a boy, in just over a month and this is handy to know. After having a girl, we didn’t really have to worry about that problem. Hope things are going well! This is an awesome one! I’ve seen something like marketed before, called Peepee Teepees. They looked like little tobogan caps and had the same function. The baby wash cloths are a budget friendly great idea! yeah i saw those in the store. O the baby product world. You will up charge anything. We used regular Gerber cloth diapers (despite not actually cloth diapering) for both spit-up and fire-hose covers. Served both purposes admirably. Man, I can’t believe how many times we got peed on. I got good at changing the diapers pretty quickly, but the first 6-12 times I left him at home with my husband I always came back to a naked baby with just a diaper and a shirtless husband. Lol! We used extra wash cloths to cover during bath time, but we will definitely keep some on the changing table this time around. Thanks for the tip!!! we will have baby wash clothes and cloth diapers for YEARS.